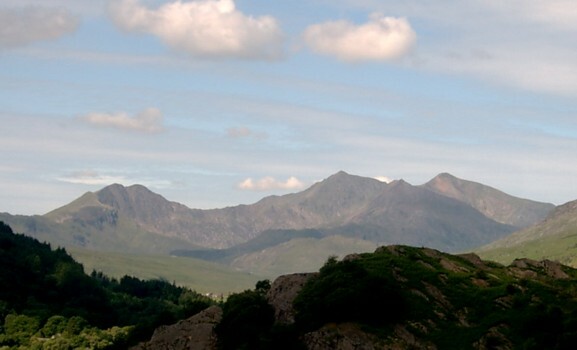 Walking from Capel Curig, with views of Snowdon, Moel Siabod, Tryfan and the Glyders and Llyn Crafnant. 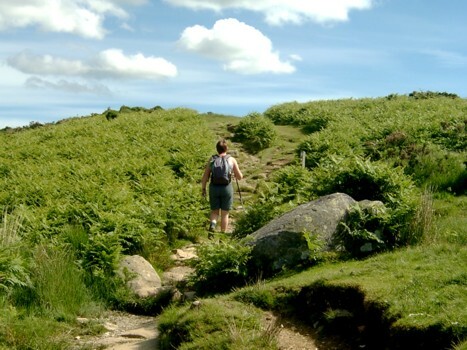 It was some years since I had walked in Snowdonia, but as I had some work to do near Llandudno it seemed a good idea to mix business with pleasure and have a walk in the mountains. 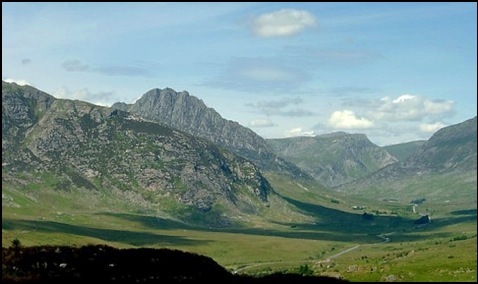 I had considered doing Penyrhelgi-du, a top just off Carnedd Llewellyn, as the completion of this would have meant I had completed the 20 highest peaks in Snowdonia – Penyrhelgi-du is no.19. However, Anne wasn’t so keen, it didn’t look a particularly inviting top, and, on the day of our walk, it looked as if it the weather was going to get wet on or around lunchtime. We knew from experience that when it rains in North Wales, particularly around Capel Curig, it really rains. 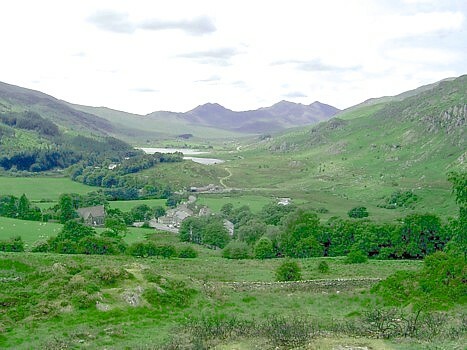 However, we were attracted to Capel Curig as our starting point and, having found a leaflet published by the Capel Curig Tourist Group with details of a number of walks, we selected one that should take about 3 hours. As we intended to start by 10 o’clock unless the rain arrived early we should have no problem completing this ramble before inclement weather arrived. 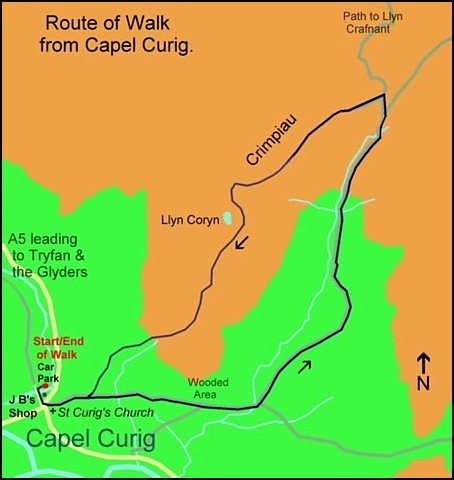 Above is map of the walk area. 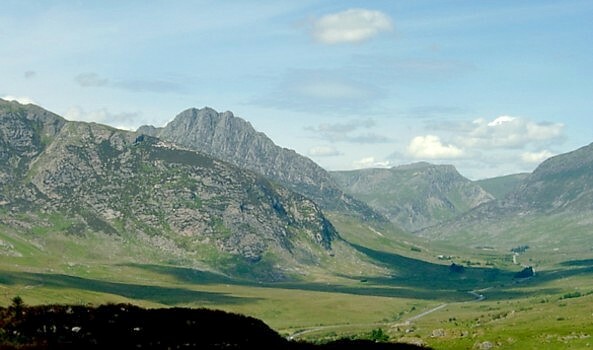 Having parked the car in the car park behind Joe Brown’s Walking Shop; we enjoyed the westerly view of the Snowdon Horseshoe, which looked its usual impressive self in bright sunlight. 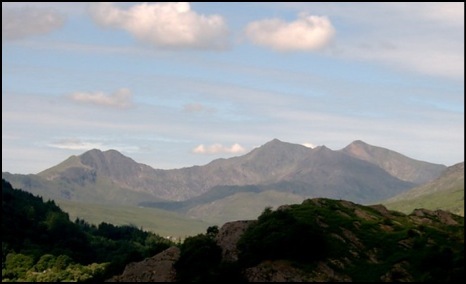 Views from Capel Curig of the Snowdon Horseshoe. The weather was certainly better than was forecast. We walked to, and crossed the A5, and then crossed a stile, to the left of St Curig’s Church, into a field. Ascending through the field, generally eastwards, we passed into another field and soon the route became more distinct as we walked through woodland. With the sun still shining, which it did for the duration of the walk, we were soon enjoying the view on our right (south-west) of Moel Siabod. 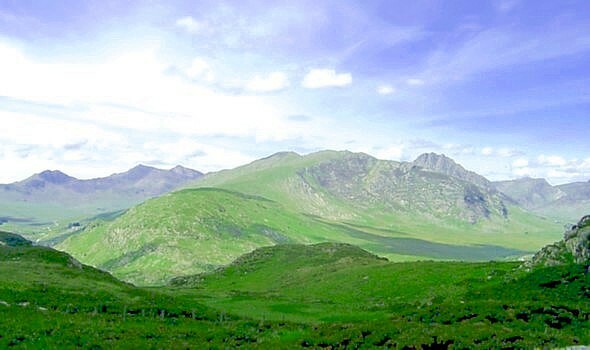 With Anne, Greg and Ian, I had climbed Moel Siabod one May Day some years ago and although it just misses being a Welsh 3000 foot peak by 140 feet it is still very impressive. 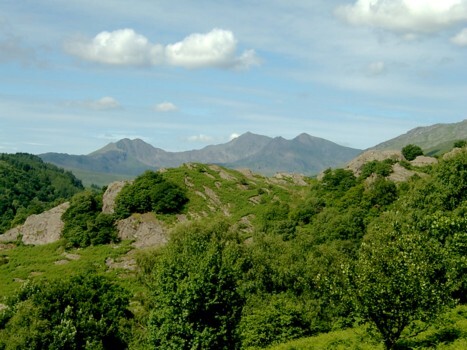 I consider the scenery from the top to be some of the finest in Snowdonia as it is possible to enjoy views of Snowdon, the Glyders and the Carneddau as one looks northwards from its top. Anne walking along the path towards Crimpiau. 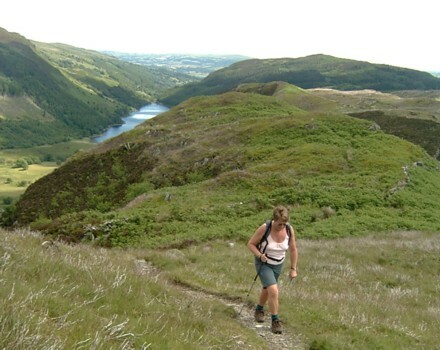 Gradually our path today swung northwards and we reminisced about the many times we had walked this route back to Trefrew in the Conwy Valley where we had enjoyed the hospitality of the Princes Arms Hotel, which is where we were staying during this visit. 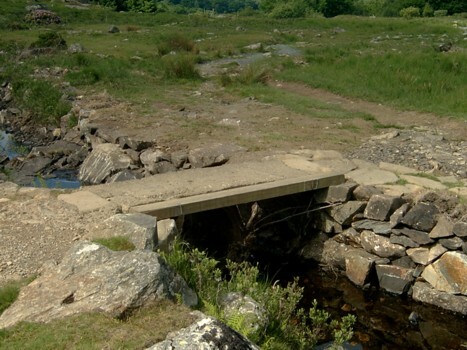 We had been tempted to do this route again but were “put off” by the time we would have spent getting to Capel Curig from Trefrew by the local bus service, which, if I remember correctly, necessitates changing in Betws-Y-Coed. 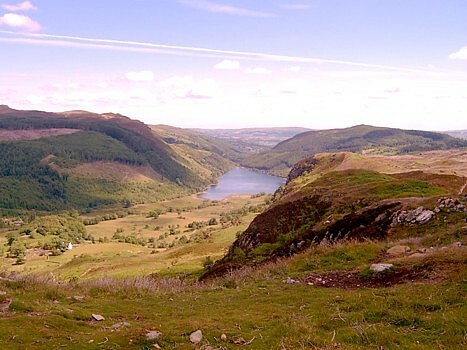 However, if you are in this area and have a day to spare the walk is wonderful and visits the beautiful Llyn Crafnant and, via a short detour, Lynn Geirionydd can also be reached. So we continued along this generally ascending path. 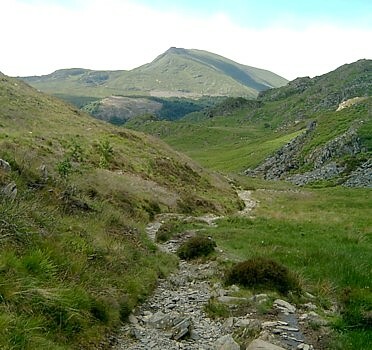 Having passed over a small concrete foot bridge, we turned left and went up and over a knoll and by now the views of Snowdon, which we had lost earlier, had returned. Over a couple more stiles we went until we were almost at the bwlch – the high mountain pass that once reached leads down to Llyn Crafnant. 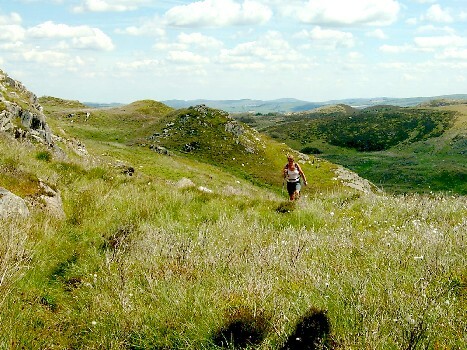 However, our route was left, uphill on to the slopes of Crimpiau, which I understand means long serrated ridge. 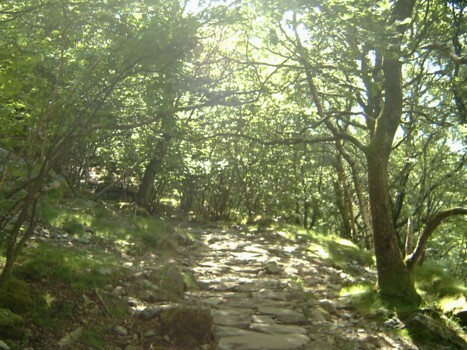 Here we found a path which lead to a spot that gave wonderful views along the length of Llyn Crafnant. 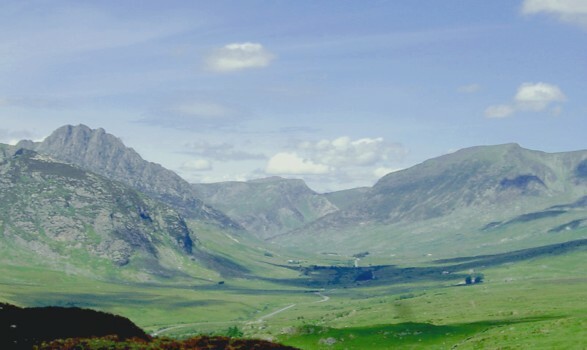 So we stopped here to enjoy the views, then walked on until we reached a location which gave us views down the Ogwen Valley including views of Tryfan and the Glyders. By now the sun really was shining, the air was clear and the views were magnificent. So I snapped away on my digital camera to capture the scenery as best I could. But, as always a photograph is a poor substitute for the real thing. From here we walked downhill, through knee high vegetation, to the left of a small lake, Llyn Coryn, before finding a track, to the left of a fence, which, after turning right, went steeply downhill. This really was a pleasant walk with wonderful views at almost every turn. 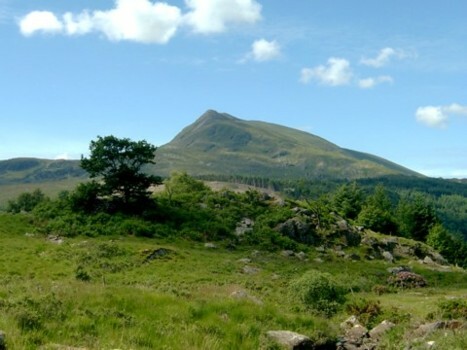 Moel Siabod from the slopes of Crimpiau. On reaching the bottom of this descent the way ahead was less obvious and was quite boggy. One can almost always guarantee that on any walk at some point the directions can get a little confusing. However, although we may have taken the incorrect path at this point the general direction was fairly obvious. We just walked towards the valley with Snowdon at the end of it, negotiating a couple of gates on the way and in no time at all we were on the track that we had followed after crossing the A5 a couple of hours earlier, and yet again were able to enjoy the views of Snowdon bathed in sunshine before the rain arrived. The total distance walked was only just over 4 miles, but the scenery, even over such a short distance, was spectacular.